In our six-pack abs series, I went over the 10 best exercises you can do when it comes to getting six-pack abs. Within those top 10 exercises, five of them could be done with just your bodyweight. Bodyweight exercises must be a part of everyone’s routine if you are really looking to get fit fast. The thing I love about bodyweight exercises is the fact that you can do them anywhere at anytime, and you can make them as hard or as easy as you want. With the 10 best bodyweight exercises I will be going over, you can adjust each one to make it more or less difficult. When it comes to your workouts, the best way to build muscle, burn fat, and get stronger is the combination of heavy lifting, bodyweight exercises, and high intensity cardio (i.e. sprints). Not only will you gain strength but adding in bodyweight exercises will help build endurance which is always key in a workout routine. Be sure to take a look at the top 10 exercises for building six-pack abs so you can get an idea of what kinds of exercises you should be focusing on first in order to get in great shape. Then you can add in the exercises we will be going over below! A very difficult move especially for a beginner. However, just like anything new, you must work on pull-ups in order to improve them. Stop avoiding them and start incorporating them back into your workouts. You can start by doing assisted or jumping pull-ups for strength gaining purposes. Pull-ups are an incredible exercise that really helps build the lats and biceps, plus will build an incredibly strong core and help burn the fat around your abs! Whatever the case may be for you, pull-ups should start to become a regular part of your workout routine. The push-up variations that you can come up with are endless and as you can see they can be catered to all fitness levels. Some are far more advanced than others but each one will get you stronger and more fit. 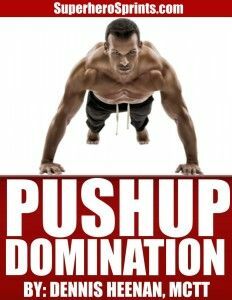 It is important that you are constantly challenging yourself to improve your push-ups and your push-up totals. This exercise really targets your entire back, will improve core strength, and helping to build ripped forearms and biceps. Once again there are many different variations that will make this exercise more or less difficult. Each of these brings more or less difficulty to the exercise and are all very beneficial. You can also increase difficulty by pausing at the top of each repetition or by suspending one or both legs in the air. Incorporating dips into your workout routine is one of the best ways to build ripped triceps. Not to mention it is also a great core and chest workout depending on the angle you perform the dips. Once you become better and better at dips, you should start incorporating weight to make them even more challenging. Single leg squats are a very hard exercise but will build incredible strength all throughout your lower body and core. This is an advanced move that must be slowly transitioned into but is another that you should work your way towards. For beginners, it is recommended to go in the order as you see it above. Some people may never be able to perform a pistol squat but that definitely does not mean you should not work towards doing one! 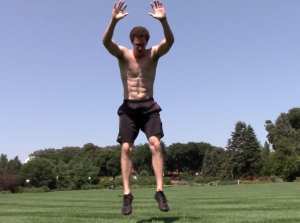 When it comes to burning fat, building your core, and improving your athleticism jumping is where it’s at! Jumping can be used to build both strength and endurance and is something everyone should incorporate into their routines a few times per week. If you have not jumped in a while be sure to start slow as jumping is very demanding on your joints and body. Build up to doing more each time you go workout! In our top ten exercises for six-pack abs, burpees where described as “the ultimate high intensity workout.” Not only will they bring you an incredible cardio workout but they will also bring a great full body strength workout. Burpees involve using nearly every muscle in your body and are great for building upper body and lower body strength. With the many different burpee variations out there, the options are endless when making them more or less difficult. From adding in push-ups and squat jumps to adding in a pair of dumbbells, this movement is incredibly difficult and you can expect some great results doing it. => Take My 50 Burpee Challenge HERE! Aside from squats and deadlifts, lunges are the go to exercise when trying to build great leg strength and a nice backside. Although incorporating weight is the best way to build muscle more quickly, doing bodyweight lunges will still bring results. Lunges require lots of core strength and balance so you will be getting a great overall workout. You can also easily bump up the intensity on lunges by doing jump lunges. This will bring a cardio style workout all while building up strength. All the exercises that we have covered so far incorporate using your core. Planks and side planks however are the only ones that will directly target your core. Side planks will also directly target your obliques which are essential to overall strength and aiding in different movements that we engage in (like squats and deadlifts). Planks and side planks can be made as easy or as difficult as you make them to be. Adding in outside objects such as an exercise ball, TRX band, or medicine ball will make planks and side planks more difficult. To make them easier, start by planking on a bench or chair. The key to doing bodyweight squats is to always be improving on them. Just like regular squats as you are always trying to increase the weight, bodyweight squats should always be getting more challenging. To do this you must always be pushing yourself to go lower and lower until your hamstrings are able to meet your calves. This will greatly help in improving your flexibility and will help when doing weighted squats. Bodyweight squats can be used during any style workout and are another exercise that will build solid muscles in your legs. The bodyweight exercises above are just a few of the many exercises I see myself incorporating into my weekly workouts. 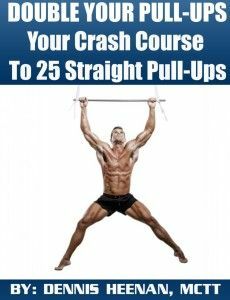 As you can see, there are plenty of great bodyweight exercises that you can start doing to build strength, lose fat, and get fit. These bodyweight exercises alone will bring you great results. However, the best way to get results fast is by combining them with a solid strength training routine. Whichever you decide to do, whether that be doing the bodyweight exercises above by themselves or combining them with some strength training, I can guarantee you will be happy with the results you get! Click Here For The Best Bodyweight Only Exercises On The Internet Today!